With its reign as the official pizza sponsor of the NFL now just a sad footnote, Papa John’s was casting its eyes about for a new sports league to bother. Presumably the XFL, Canadian Football League, Little League World Series, and National Lacrosse League all declined, because it fell to NHRA drag racing to pick up the NFL’s sloppy sevenths. Now the official pizza of the 2018 NHRA drag racing season, Papa John’s has actually sponsored a racing team for the past two seasons. But with extra sports-sponsorship marketing money to blow, the country’s most beleaguered pizza chain has now leveled up to official pizza sponsor. Oh right, most of us don’t actually know what the NHRA is, so a quick rundown: The league hosts 24 annual NHRA Mello Yello Drag Racing Series national events and can also be heard on NHRA Fox Sports broadcasts. 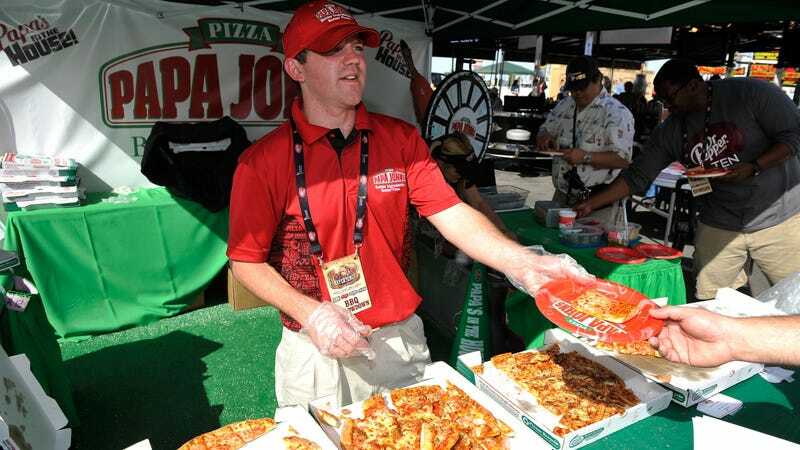 Papa John’s will also continue its involvement in the league’s Charity Challenge racing series to raise money for returning military veterans and their families, which is nice.